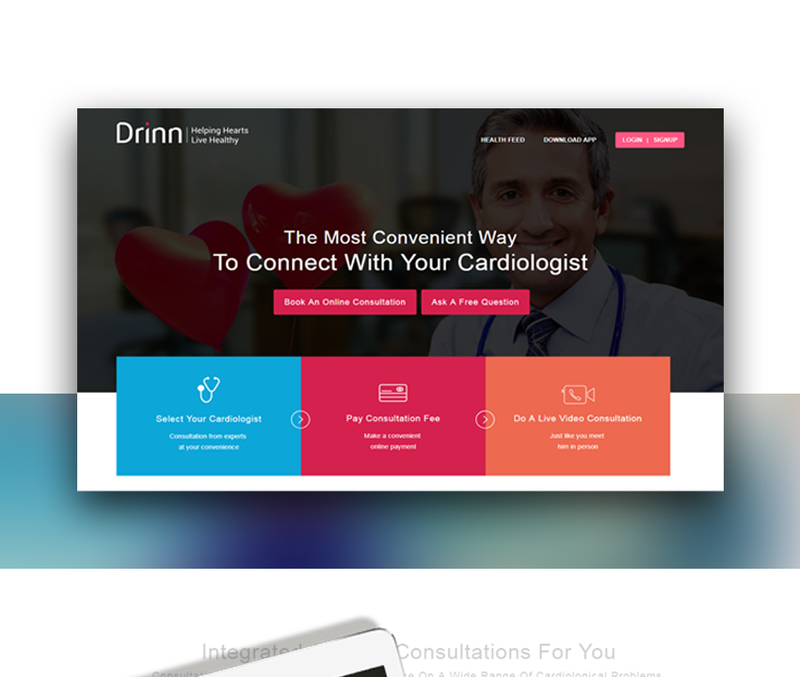 Primal Codes worked with Drinn Virtual Clinic to develop a unique online platform to give patients secure, online access to expert cardiologists. Drinn Virtual Clinic is an online cardiology healthcare platform that helps patients to get closer to their cardiologists without any time or expense constraints. Through this secure online clinic platform developed by Primal Codes Technologies, patients can submit their detailed health information, medical records and diagnostic test results. Expert cardiologists are assigned for consultation and will render a detailed second opinion. The report includes commentary about the diagnosis and treatment options or alternatives and recommendations regarding future therapeutic considerations. 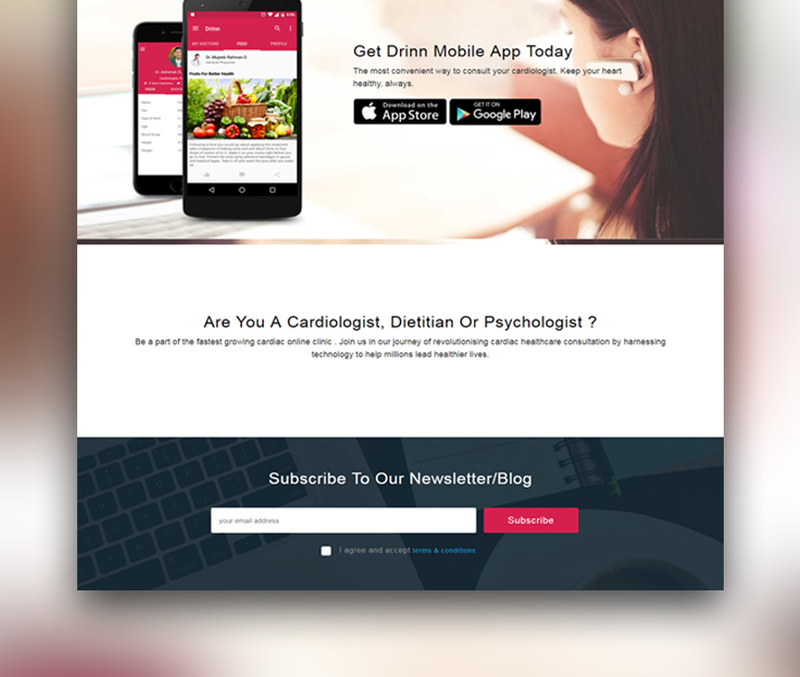 Drinn Virtual Clinic encourages users to ask free questions regarding their cardiac issues, which are answered by top cardiologists, dietitians, and psychologists. The key to a successful health application design lies in knowing how and why users will want to use the app. The main challenge we faced was to design and develop a platform that works well, looks well, and can be sustained. Crucial aspects of healthcare applications are their ability to collect and analyze patient health information from several different medical devices. This often requires a wide range of potential features and is challenging when developing the application. In order to develop successful application, we identified the target audience needs most, and focused development around the implementation of those essential features. Online Clinic applications should always target the end user’s needs and should focus on delivering a great user experience. ‘Make the app as simple as possible, so that anyone can use it even during times of medical emergency’ this was the next criteria. We were successful in it and with the application; users can easily find everything effortlessly without wasting their precious time. We also gave special impetus to the app security as it contains all the vital data, medical reports etc. of the patient. Drinn Virtual Clinic’s patients now have access to a robust platform that helps them and their health providers avail quality care with increased patient engagement. Primal Codes Technologies offers advanced virtual clinic solutions, where we understand your requirements and provide full medical application development cycle, including native or cross-platform technology. This means, we can develop a healthcare app on your own idea or you can choose from above healthcare app ideas, and develop for Android and iOS platforms. 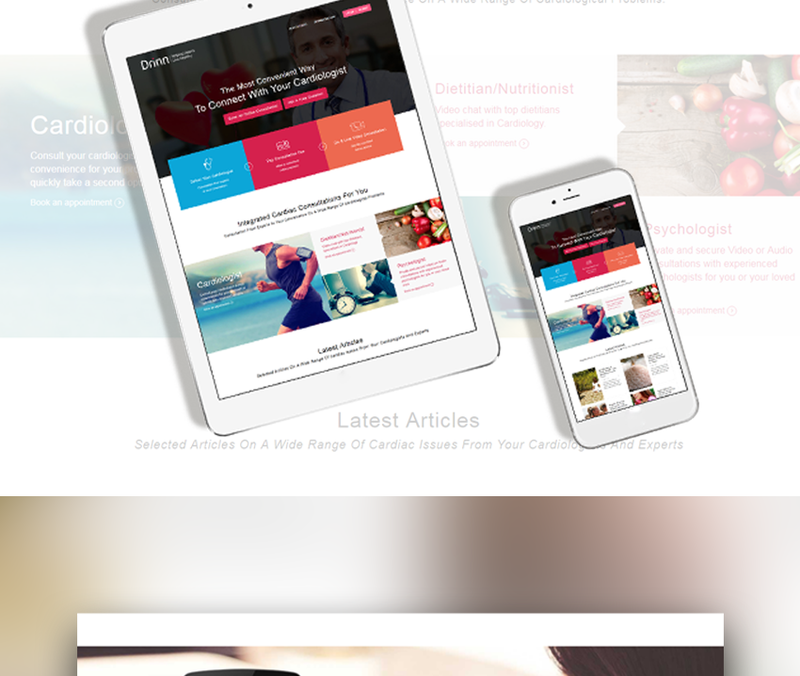 Client: Drinn Virtual Clinic Pvt. Ltd.